Steel Reinforcing Bar - C.A.R.E.S. Approved to BS 4449:2005. Manufacturers Test Certificates available for all Raw Material. C.A.R.E.S. Approved Reinforcing Bar to BS 4449:2005. Each bundle is labelled by the manufacturing rolling mill. This label corresponds with the relevant Test Certificate. The bundle details are recorded on each customer 'Job Sheet'. 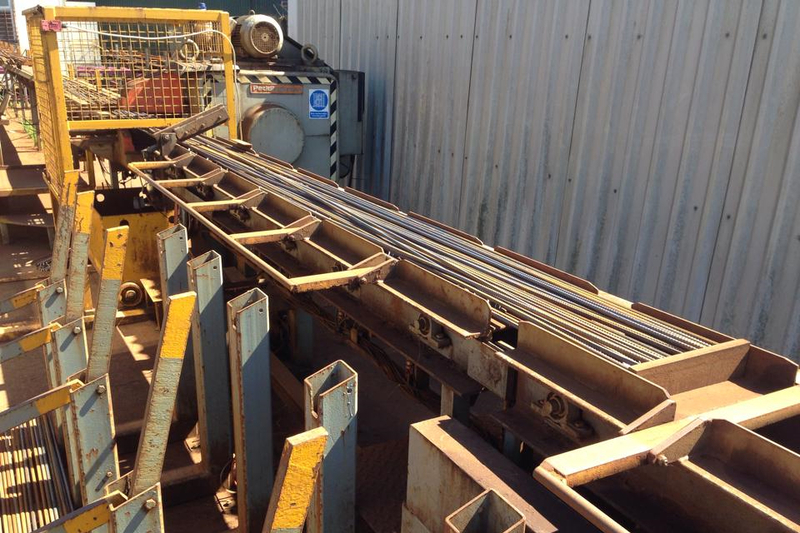 This ensures traceability back to the producing rolling mill. 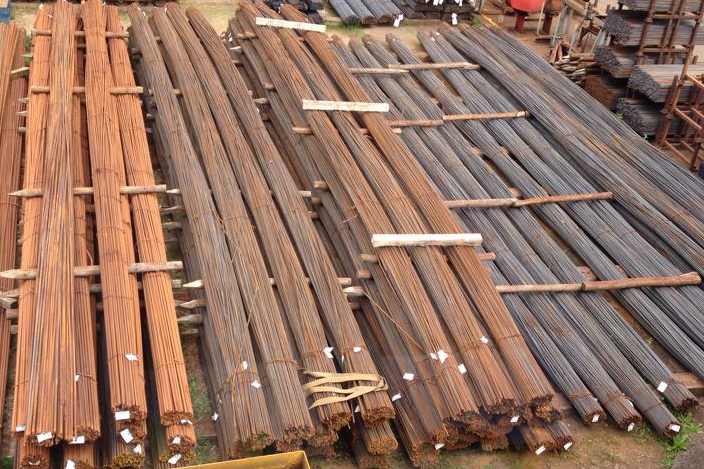 Standard Raw Material Lengths are 12 metres. Cut to Length is supplied to BS 8666:2005. C.A.R.E.S Approved Reinforcing Bar to BS 4449:2005. Merchant Stock Lengths convenient for re-sale. of: 3, 4 & 6 metres. Cut Lengths can be produced up to a maximum of 12 metres. Please see the shape codes page for scheduling details. La-Roche 5 Angle, 2 Speed, 2 Direction Table Benders. These machines are ideal for the type of work specified by our customers giving us both the capacity and required flexibility. As well as supplying 'General' Cut & Bent Reinforcing Bar and Mesh, Trident Steel also offer Steel Reinforcement for more specific uses. For many years we have produced: Junction Boxes - Manholes - Utility Sets - etc for various Utility Companies, including BT Openreach. We hold most, if not all, of the current schedules, but more importantly, our 'Production Staff' are very familiar with the manufacturing process required to produce this type of product correctly - making Trident Steel the ideal choice. We strongly recommend that you use the services of a qualified and registered Structural Engineer to ensure that the design, and details of the reinforcement, and its suitability for purpose are correct. The Structural Engineer should produce both a drawing and a Bar Bending Schedule for you, having completed the necessary calculations. 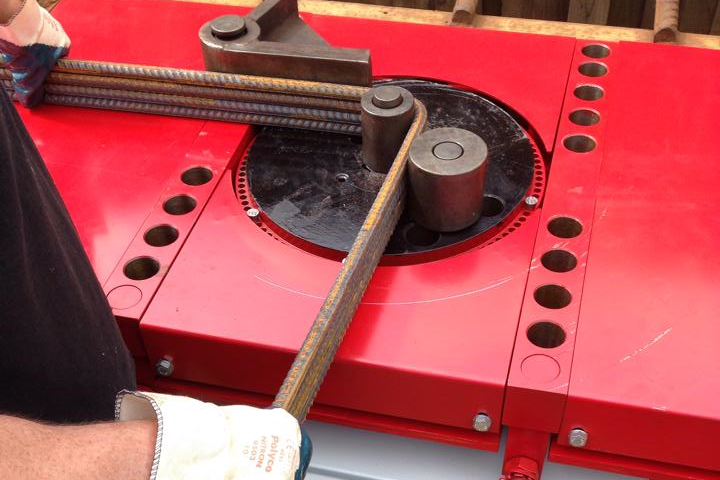 The Bar Bending Schedule gives us details of the Steel Reinforcement required, enabling us to quote for, then subsequently manufacture. We cannot be held responsible for any failure due to incorrect or unsuitable design.